The RC44 Valletta Cup was first organised in Malta in March 2015 by Yachting Events and was co-hosted by the Ministry of Economy, Investment and Small Business. The event is set to return to Malta between the 23rd and 27th November 2016. Following a brilliant end to the season in the British Virgin Islands with an overall victory for Team Nika after spectacular racing at the RC44 Virgin Gorda Cup, the RC44 Class is pleased to announce it will celebrate its tenth year in 2016 by visiting two new world class venues. The RC44 Class will make its first-ever visit to Bermuda to kick off the 2016 season before competing at some of Europe's most celebrated sailing venues, including a return to the beautiful Sotogrande, Spain, where an early World Championship will be held. Marking the half-way stage of the Tour with a debut in Gosport/Portsmouth, United Kingdom, the teams will then revisit Cascais, Portugal, an old Class favourite, before heading back to Valletta, Malta to finish off the season in the historic 'City of the Knights'. Taking place just inside the Mediterranean, close to Gibraltar on Spain's Andalucian coast, Peninsula Petroleum Sailing Team will play host for the RC44 Sotogrande World Championship. Gibraltar-based owner John Bassadone commented: "It's very special to have the Worlds in Sotogrande. We were there last year and got quite lucky with the wind. It's great to sail where you spend a lot of time and I think everyone had a lot of fun. For it to also be the World Championship this year, it's fantastic." Gosport/Portsmouth will provide a home-water advantage for five-time RC44 Championship Tour winner Team Aqua. Owner Chris Bake, who will be hoping to regain the championship title in 2016, said: "It's a class that has a lot of appeal, not only because of the dynamic sailing, but also because of the events we go to and the social element to the class. There are some pretty good people involved and I think by bringing it to the UK, which will be the first time ever for the class, hopefully we bring some attention to potential UK owners who don't know the class or haven't really looked at it that much." 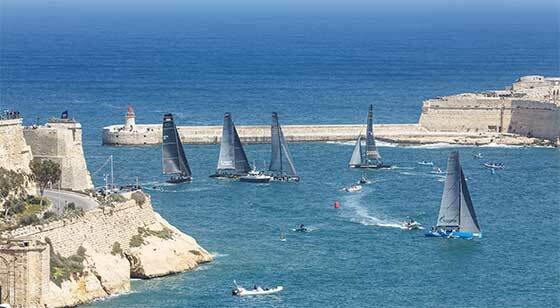 The Tour is also excited to be returning to Cascais, Portugal and Valletta, Malta - both venues that have previously delivered challenging and exciting conditions for the sailors.